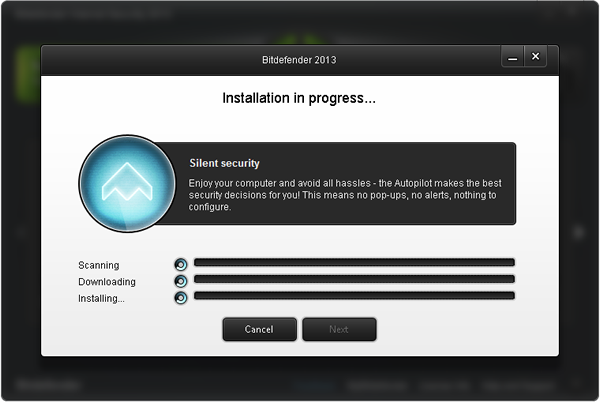 Bitdefender released its 2013 product line a couple of weeks ago, and we have since had a chance to fully examine the security suite. 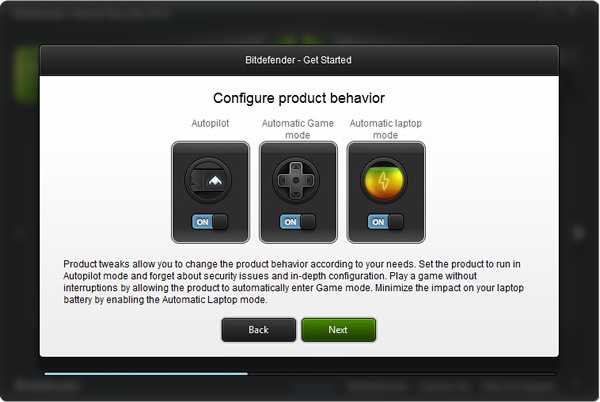 The beauty of Bitdefender’s software is not only the award winning protection it offers, but also how easy it is to use. Furthermore, Bitdefender Total Security 2013 provides new, additional security features in areas previously unheard of by traditional antivirus vendors. First off, we would like to mention a few security awards won by Bitdefender, so you’ll be fully aware of just how good their antivirus protection is. Every company likes to tell you how great they are, but independent, third-party verification always helps to set the record straight. Bitdefender’s #1 rankings are based on reviews from AV Test, AV Comparatives, CNET Downloads, PC Welt, Expert Reviews and many more. The installation of Total Security 2013 was quick and easy and only took us about 15-20 minutes. To further speed things along, a quickscan of your computer is performed during the download and installation process. 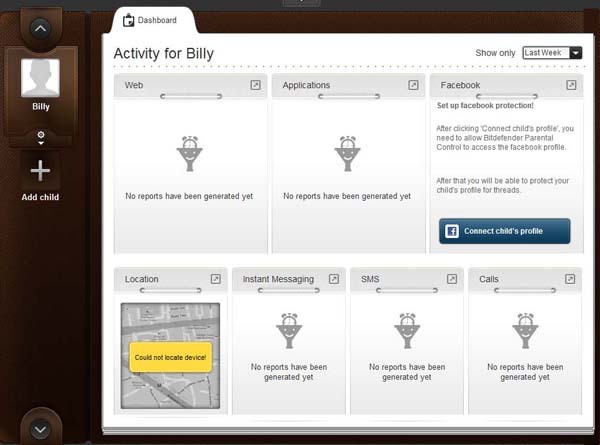 The ‘Get Started’ screen shown below demonstrates how easy it is to configure the software to your specific needs. For most users, just selecting ‘Autopilot’ mode will suffice, but power users can dig deeper and opt for full customization. Here we see the main user interface. Everything is laid out in a nice, logical format. Users can access all available modules by clicking the left and right arrows or by using the slide bar located at the bottom. We were very impressed by how feature-rich Bitdefender’s security suite is – the image below shows a snapshot of all available modules. All you have to do is click on the icons to obtain more information and to configure the module to your exact specifications. *Safebox offers 2 GB of online storage for backing up important files, and you can upgrade to 30 GB or 60 GB if you need more space. Free iPhone and Android apps are available, so you can access your files on your mobile device. 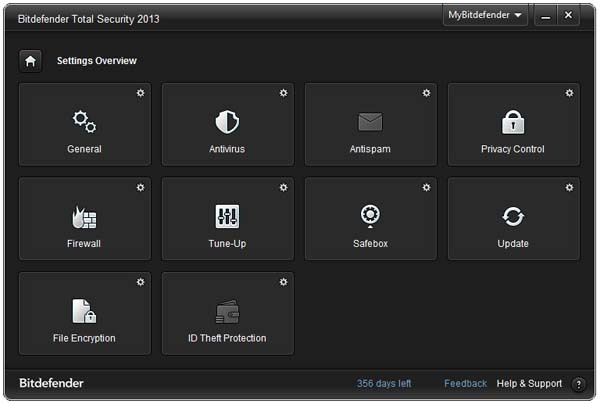 Another awesome feature of the security suite is the ‘my.bitdefender.com’ web interface. Once you create your account and register the product, you have access to several online security and remote management features. Anti-Theft – Locate your device using GPS technology. You can also lock or wipe your device to protect your sensitive data. Parental Control – Monitor web and Facebook activity, instant messages, texts and telephone calls from registered accounts and devices. Obviously, we are particularly interested in the social media integration and Facebook monitoring features of the software. 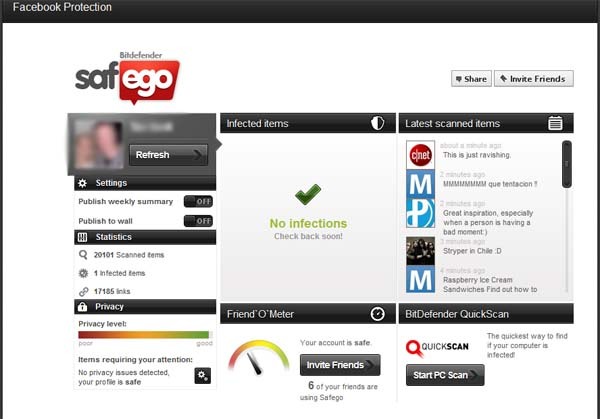 Bitdefender Safego is a free, stand-alone application that monitors your Facebook and Twitter accounts for malicious items and potential privacy pitfalls. Safego is a sponsor of our site, so we are very familiar with the features and benefits of this app, and we whole-heartedly recommend it to all of our readers. All you have to do is login to Facebook and Twitter and install Safego to enjoy Bitdefender protection on these social platforms. The philosophy behind Bitdefender’s Parental Control is to promote open communication between parents and their children. Once you choose to ‘Add Child,’ you’ll need to setup basic profile information and add the devices that they will be using. This is very straightforward and easy to follow. 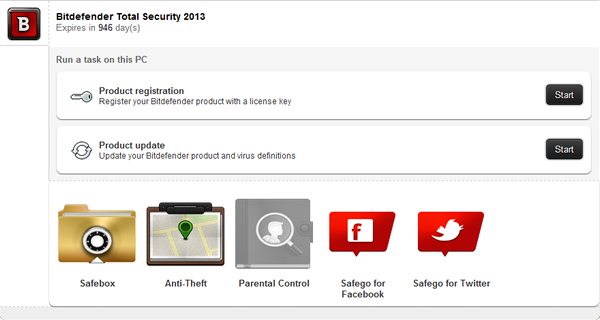 To connect your child’s Facebook account, click the ‘Connect child’s profile’ button and follow the prompts to install the Bitdefender Parental 2013 Facebook application. If the application is removed, then parents will be sent a notification. 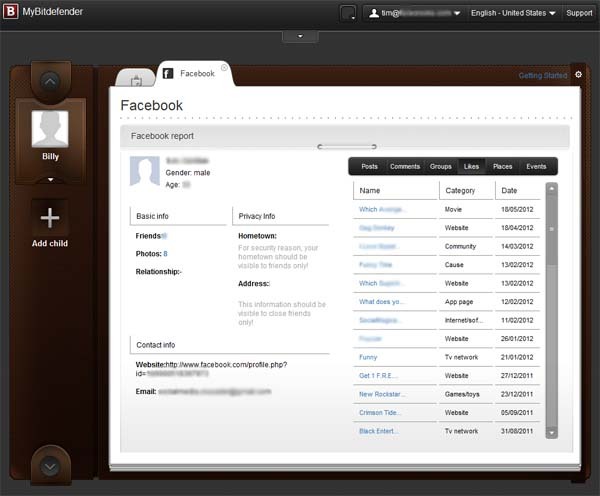 Notice how easy it is to monitor a child’s friends, photos, posts, comments, groups, likes, places and events. Bitdefender Parental Control is a great tool to help keep your child’s Internet experience safe from cyber bullies, predators and other malicious elements. 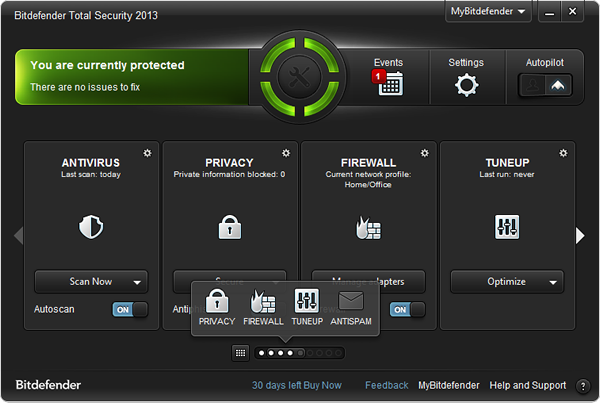 Bitdefender is currently offering a free 90 day trial of Total Security 2013. Visit their Facebook page to download a copy and check out the other security tools they have available. Be sure to ‘like’ their page to keep up with Internet security news and information via their blog, HOTforSecurity.com. If you’d like to have your very own copy of Total Security 2013 without having to pay for it, then be sure to enter the sweepstakes we are hosting via Rafflecopter.com. 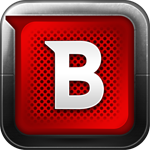 Bitdefender has graciously provided the 5 license keys up for grabs! Editor’s note: Bitdefender Safego is a paid sponsor of Facecrooks.com. Previous post Facebook to Serve Ads Based on Your Installed Mobile Apps Next post Warning: Our Systems Detected You Have Multiple Accounts - Nothing to Worry About, Yet.